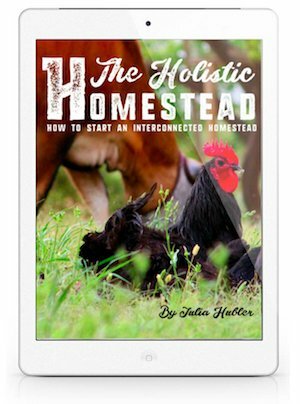 In my book, The Holistic Homestead I recommend lots of my favorite books, online articles, DVDs, products and more that have helped our family on our homesteading adventure. It’s always sad when you get to the end of a good educational book (or website), and don’t know where you can keep learning more great information along the same lines of what you just read. How do you find more good material to read and further your research? This may be one of the most valuable sections in my book. 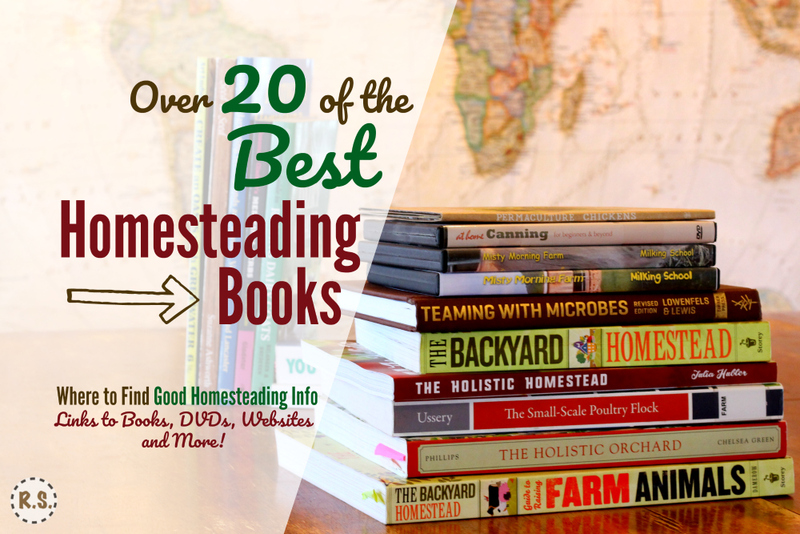 Reading one book won’t give you all the answers you need to run a successful homestead. You need to read, study, and read some more. This is how you can learn and grow your homestead with fewer mistakes. The books that are full of words and not much practical information—they drive me crazy! I hate wasting my time (and money if I bought it) with them! When someone takes two chapters to say what could have been said in two paragraphs—that’s a waste of my time. I want to read lots of amazing books that are jam-packed with helpful information. This is why this section is so important! ALL of my recommendations are only the absolute best of what I’ve read, learned and found on the given subjects. Besides reading websites, studying books and watching educational DVDs—I have learned lots of great info and tips from friends. Look at what others are doing and learn from their successes and failures. You can learn so much this way! Just so you know—I do not agree with everything in many of the resources and books I recommend. Especially some of their unbiblical religious presuppositions. Yet in all of them, I found something especially valuable and important you can learn and apply to your homestead. The ones marked with an asterisk* I especially like for their open stance on Christianity. Disclosure: Some of the links on this page may be affiliate links, meaning I may get a small commission if you make a purchase. There's no additional cost to you, you're simply helping to support this site. Thanks for your help! :-) Read the full disclosure here. 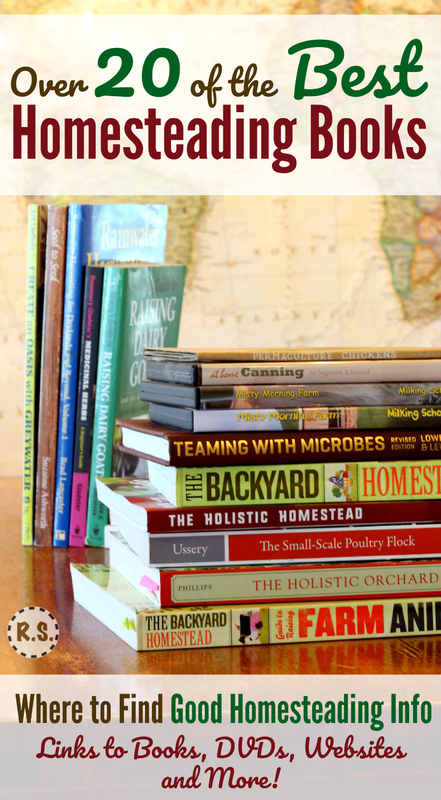 Books: You Can Farm, and other books by Joel Salatin* Each book I’ve read by Salatin has always been a fun, interesting and informative read! He takes holistic and permaculture principles and applies them to farming. 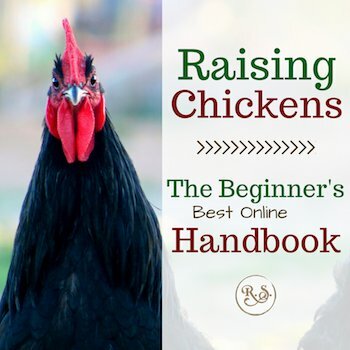 Lots of great info for homesteaders. Books: The Storey’s Homesteading Books, by Various Authors The time-proven Storey’s books are loved by many homesteaders. They are known to be helpful and very practical. I especially like the one we have about goats, when the authors (Belanger & Bredesen) share how you can keep goats on pasture. Great info, extremely valuable, and good to have on-hand—yet often they are a bit more conventional on some topics than I’d like. Book: Practical Permaculture, by Jessi Bloom and Dave Boehnlein Lots of helpful holistic information. Very, as it says, practical. 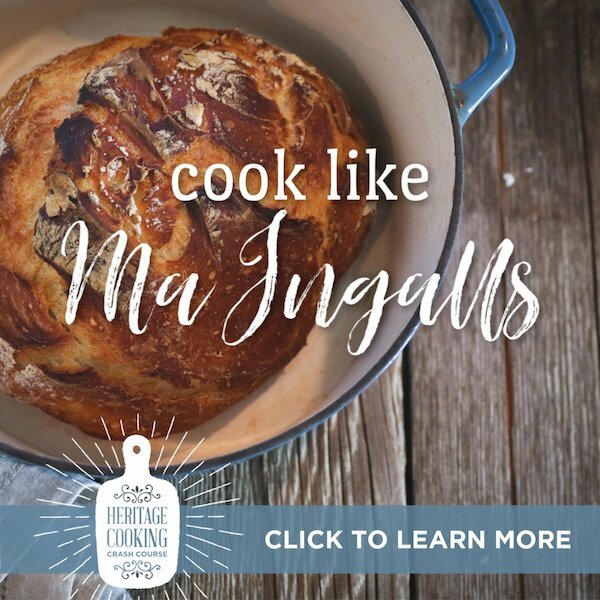 Website: ReformationAcres.com, by Quinn* Another favorite homestead blog. Again, good articles and content—on a beautiful user-friendly website. Book: Teeming with Microbes, by Lowenfels and Lewis A foundational must-have! This book shows how microbes work and shows you how to have a truly natural, or better than organic—garden, pasture and orchard. Book: The Holistic Orchard, by Michael Phillips A wonderful book, full of natural, permaculture and holistic practices for fruit trees and orchards. The info in this book fits perfectly with the microbial awareness demonstrated in Teeming with Microbes. 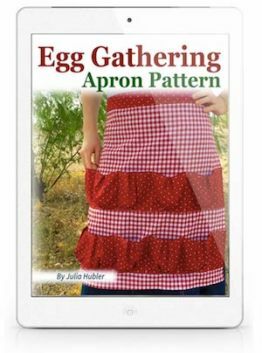 Jam-packed with practical, helpful information—perfect for the homestead. Book: Perennial Vegetables, by Eric Toensmeier If perennial vegetables are a consideration, this book has lots of information about many different kinds you can try. A good starting book if you’re interested in perennial vegetables. Book: Seed to Seed, by Suzanne Ashworth If you want to start saving seeds this book gives you great, in-depth advice. 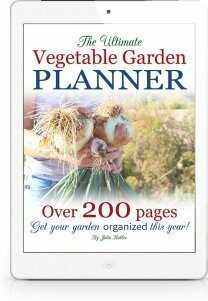 Books: Gardening, local Finding a good gardening book for your area is a good plan—especially if you live in a desert, like the Phoenix AZ area. Two books I recommend if you live in the desert: Extreme Gardening, by Dave Owens, and Desert Gardening, by Brookbank. Both have valuable info for the desert’s unique challenges. If you live elsewhere, look up or ask around and find a good gardening book for your climate. Book: Create An Oasis With Greywater, by Art Ludwig A comprehensive, practical, how-to guide. A great book if you want to start turning your greywater into water for shade trees and fruit trees. Book: Rainwater Harvesting for Drylands and Beyond, by Brad Lancaster Great info for anyone who wants to harvest rainwater. There are a few volumes to this book. It is very practical, and has lots of black and white pictures to show you lots of the different rainwater harvesting methods. Website: RareSeeds.com, Baker Creek Heirloom Seeds Company* I love this seed company and have purchased most of my seeds from them. Website: AbundantPermaculture.com, by Justin Rhodes Known as the, “permaculture chickens guy” Justin Rhodes has an lots of extremely valuable information about how to raise chickens—all from a holistic, permaculture based mindset. He is also branching out into other homestead topics besides chickens. Very down-to-earth, practical, and valuable information! I highly recommend checking out his website, articles and videos. Website: The Sustainable Poultry Network (SPN) A great place to try to locate a good heritage chicken or fowl breeder near you. Website: MistyMorningFarmVA.com, by Faith & Adam S.* If you want valuable, holistic information on milk cows—head on over to their site. I love all of their information I’ve read/heard so far!!! They’re super nice and very helpful. Book: Keeping A Family Cow, by Joann S. Grohman A great book to have on-hand if you own a milk cow—or plan to in the future. Book: Devil In The Milk, by Keith Woodford If you want to learn more about A1 and A2 genetics, this is the book to read. I haven’t read the whole thing, but what I have read is very informative. This is considered the book on A1 and A2 genetics in cows and how it affects proteins their milk—and therefore you, the consumer. Books: Nourishing Traditions & Nourishing Broth, by Sally Fallon (Morell) If there was just one cookbook I had to pick it would be Nourishing Traditions. Packed with tons of informative, helpful, practical, cooking and food preparation advice and recipes. Nourishing Broth (By Sally Fallon Morell and Kaayla Daniel) is also loaded with information—if you want to learn more about broth. 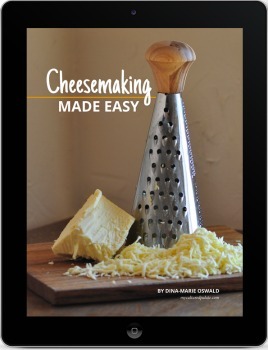 E-book: Cheesemaking Made Easy, by Dina-Marie This ebook is great if you want to start making cheese. 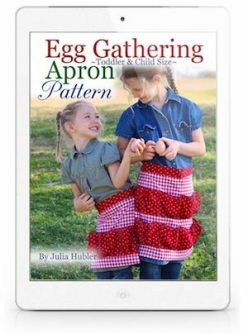 It’s full of lots of yummy recipes, mozzarella, cheddar, cultured butter, kefir and more. I especially love the mozzarella recipe! Start making your own cheese! 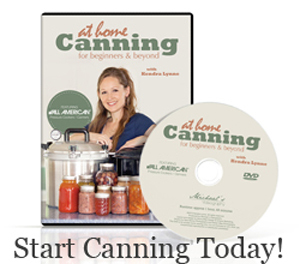 DVD: At Home Canning For Beginners & Beyond, by Kendra Lynne If you thought canning was hard or scary—no longer! In this DVD, as Kendra takes you into her kitchen, she shows you just how simple water bath and pressure canning really are. A confidence-building DVD. Start your own canning journey! Book: Rosemary Gladstar’s Medicinal Herbs: A Beginner’s Guide, by Rosemary Gladstar A wonderful book to get you started with using herbs for your family. It has beautiful full-color pictures and is easy to use. Book: Rosemary Gladstar’s Herbal Recipes For Vibrant Health, by Rosemary Gladstar Another good reference book. Includes 175 recipes and remedies. Very user-friendly.